With more than 24 years of success in diversified business ventures, Mr Sarvesh Kumar Goel, born in 1975 in village Rewari, Haryana, to a business family, never lost sight of his goals even as he succeeded with establishing Timber Business in Lucknow at a young age of 18. His business achievements at such a young age were also recognized by the leading English newspaper ‘The Pioneer’ in the year 1999. Mr Sarvesh Kumar Goel is a member of a joint family and comes from a business background, with agriculture and agro industries establishments in Kheri and Shahjahanpur districts of U.P. He built the foundation from scratch and in his journey so far there were many obstacles, hurdles which he waded through his persistent and optimistic approach. A young entrepreneur became an inspiring Businessman and proved his mettle as he established a Call Centre, ventured into Tiles trading, Trade of Stone and Marbles, Plywood, Rice Mill, Cold Storage, Brick fields, Coal, Food Grain Trading, Timber and a Government Contractor, in a short span of 10 years. And thereafter his dreams grew manifold. 2009-Till Date Secretary, Lucknow Marble Dealer’s Association. 2010-Till Date President, Awadh Sawmill owner’s Association. City President, Uttar Pradesh Udhyog Vyapaar Sangthan. ‘Vyapaar Ratan’ received from ‘Uttar Pradesh Udhyog Vyapar Pratinidhi Mandal’ for special contribution in education to society. 2013 Went for GSE program to USA sponsored by Rotary International. 2013 Patron Member, Akhil Bhartiya Vaish Mahasammelan. 2014 Awarded by ‘Education World’ Magazine for exemplary contribution in the field of education as G.D. Goenka Public School holds the distinction of being the No.1 C.B.S.E. School of Lucknow as per the education survey conducted by the same magazine. 2015 Mr Sarvesh Goel added one more feather to his cap of achievements by laying down the foundation of one more branch of G.D. Goenka Public School at Mahanagar, Lucknow. The School began its new session from July 2015 and going by the overwhelming response, it is not difficult to ascertain that this branch will also set new benchmarks of success and quality education. 2016 Ranked as the top C.B.S.E. School of Lucknow as per the education survey conducted by Digital Learning India and eLets, rankings published in Digital Learning Magzine. 2016 Recipient of ‘Certificate of Excellence’ at ‘National Education Excellence Awards 2016’ in recognition for its significant contribution in the field of Education as the leading school of Lucknow. 2016 Ranked 6th in the country for ‘New Technology Usage’ by Education World Grand Jury Ranking. 2016 G.D. Goenka Public School, Mahanagar was adjudged the 3rd Best Pre-School of Lucknow City in a survey conducted by Education World Magazine. 2017 Recipient of Certificate of Excellence for ‘Best Senior Secondary School in Uttar Pradesh’ at Excellence in Indian Education Awards 2017 . Recipient of ‘Leading C.B.S.E. School in Uttar Pradesh’ at the ‘National Education Excellence Awards 2017’ presented by ASSOCHAM. 2017 Mr Sarvesh Kumar Goel received Certificate of Excellence-Edupreneur of the Year that National Education Excellence Awards 2017, organised by ASSOCHAM during India Excellence Summit for recognition of Significant Contribution made by him in field of Education. Very rarely one comes across a person with so many positive qualities. He is a bundle of energy, visionary, enterprising, compassionate, full of wisdom and knowledge, humble and sincere. He is a social activist who is all keen to reach the underprivileged. He has a vision of a very happy and prosperous society and the world at large. He has already embarked on this journey. His grit and determination are already showing very encouraging results. A young, energetic, innovative gentleman who believes in achieving success through fair means, remain humble even after reaching the pinnacle of glory, maintain discipline and decency in the way of life. G.D. Goenka Public School,Lucknow- His most cherished dream !!! He has embarked on this journey with unparalleled grit and determination, which is manifested in the rapid strides made by his dream school, G.D. Goenka Public School, Lucknow. The discerning residents of Lucknow have long been on a look out for an upmarket and decent Club to adorn the town. There have been only a select few classy hotels and restaurants to interest the Nawabi fraternity of the town. Inspired by this very ethos, Mr. Sarvesh Goel, Lucknow’s very own entrepreneurial debutante, is ready to launch his dream Club project in the posh suburbs of the luxury hungry city. 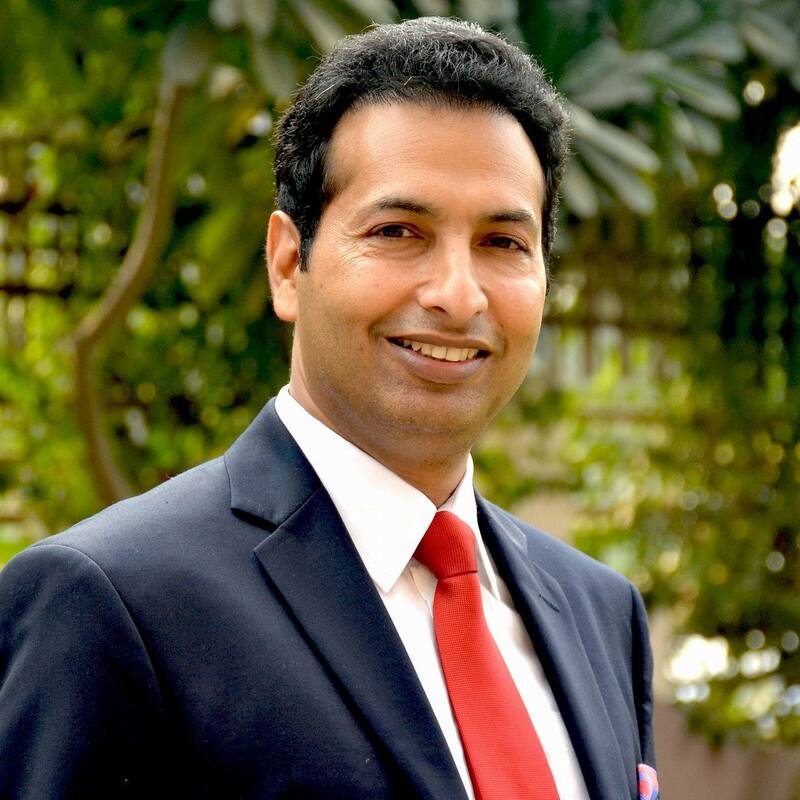 With a fabulous 25 years’ background in some established businesses like Timber, Marble and Public Schools, Mr. Goel is now focusing on developing and contributing to the hospitality and luxury demands of this historical town. The Club, currently in the Projects phase, will be spread over 5 Acres of beautiful landscape within the developed township of Ansal and Sushant Golf City. The Club promises to introduce many firsts to the residents of Lucknow, comprising of tastefully appointed Suites and Guest Rooms to attract the discerning traveler to unwind in the Land of the Nawabs, a tastefully developed Spa and Swimming pool to entice and spoil the health conscious Nawabs, delectable cuisines served at some of the most posh and cushy casual and fine dining Food & Beverage outlets to tingle the already hyper-sensitive taste buds of the Nawabs, modern business centers and meeting spaces to encourage and inspire the business minded modern Nawabs and state of the art Banquet Halls and Lawns ready to host a plethora of activities like weddings, birthdays, anniversaries, get-togethers, seminars, conferences, business launches, events and celebrations of any nature,. The location of the Club in the posh suburb of Ansal Township presents an opportunity for all the residents of the area to access and experience luxury in their neighborhood.